This quarter, we're really levelling-up the 15Five Slack integration with more exciting improvements to come. First up is Group-specific Slack channels which allow you to push High Fives to certain Slack channels depending on the High Five recipient. This is particularly useful if you have a large team and Slack feels a little noisy at times. For example, you could configure any High Fives received by members of the Engineering group to be pushed directly to a #dev-lounge Slack channel. Neat right? As a 15Five admin, head over to the Slack integrations settings page. Navigate to 'Sharing Settings' and scroll down to Group-specific High Fives. Select the Group High Fives you want to map over to a specific Slack channel. Read more on the Slack integration here. Using @mentions in 15Five is a great way to loop team members into certain conversations. We've now made this even easier with the introduction of @group mentions and @all mentions. 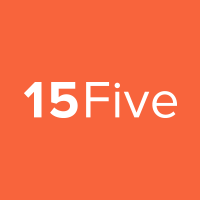 To enable @group and/or @all mentions, a 15Five admin should navigate to Manage Features. Scroll down to 'Permissions' and click configure. Once enabled, any team member can @mention a particular 15Five group or all account users in their 15Five answers, comments, High Fives etc. Note: By mentioning a group or all users, an email notification will be sent regardless of 15Five permissions and visibility. Only use this within your answers or comments if you are happy for all those mentioned to have full visibility of thread. Read more about @mentions here. Although you can simply download data right from your Pulse Dashboard, we've also added the ability to run a custom report on your company's Pulse. Configure the time period, visibility and comment settings to generate a report that can be viewed in the browser, or downloaded as a CSV. When running reports with huge amounts of data, some larger customers were running into performance issues. Now, if your report is taking a little too long to generate, instead of keeping you waiting we'll send you an email once it's ready. Read more about custom reports here. We know it took a little while, but you can finally edit and delete any High Fives you have given from the High Five feed. Hurrah! For Admins we've also opened up the ability to delete any public High Five shown in the feed that may have sneaked in there by mistake. Essentially anywhere you can currently filter by groups, you can now drill-down into your team's data too. No need to manage team members manually via the Groups page.